Phi — Une Rose de Kandahar is the latest from indie niche line Tauer Perfumes, and when my sample arrived last year, I sprayed it once, then put it right into the purgatory basket, where samples go to languish when I can't decide if I like them or not. And Phi did not capture my affections right away. It's the second fragrance to join Tauer's Collectibles series (the first was Zeta), which is based on rare natural materials. Since the scents are dependent on specific harvests, they may change slightly from batch to batch as new materials are sourced. As you might have deduced from the name, Phi was inspired by a natural extract of a rose from Afghanistan. Anyway, I did not love Phi — I wasn't even sure if I liked Phi — so I let it sit for a few weeks, and then a few more, and then I came across it at random and gave it another shot. Maybe it's the colder weather, or maybe it's that I wasn't in the right mood the first time around, but now it seems perfect. The first thing you need to know about Phi (assuming you haven't already smelled it, and many of you probably have) is that it's not a big floral rose, nor is it a feminine one. Rose-haters, or those who fear that rose smells too old-fashioned, should consider giving Phi a chance, especially if they're fond of the oriental or chypre fragrance families. The rose is there from the beginning to the end, but it's rendered warm and dusky, similar to the treatment in Ormonde Jayne's Ta’if, although they don't smell much alike and the Phi is even warmer and duskier. I doubt it's a perfect fragrance for a hot humid day, but like Ta'if, it never feels heavy on skin. And while it has a number of gourmand elements, it doesn't more than vaguely recall food, and it isn't particularly sweet. Phi starts off a tad rough — it smells like all the individual elements are competing for attention at once (the notes: apricot, cinnamon, bitter almond, bergamot, rose, Bourbon geranium, tobacco, patchouli, vetiver, vanilla, musk, amber and tonka bean). Then there is a well-spiced rose, rather sheer at first, deeper as it settles, and given an almost-foody aspect by the apricot and bitter almond. It stays at the "almost" stage primarily because it's more dry than sweet and the early stages have a dusty finish. Despite the suggestion of apricot jam, you won't feel like you're wearing dessert. As it dries down, Phi gets darker, and the rose recedes a step farther into the background as the patchouli, vetiver and tobacco come to the fore. While the tobacco is perhaps most noticeable on my skin, in the later stages, Phi is smooth and quiet, and while it's hardly the shower-fresh sort of clean that mainstream consumers have come to expect, it's not particularly skanky either. I hardly notice the vanilla until rather late in the game, and even then, it's subtle. If you find the far dry down too masculine, you might try layering it with a drop of something more vanillic; I meant to do that but as usual ran out of time. Verdict: A lovely fragrance, and I'm glad I gave it a second shot. It will go on my buy list, but as longtime readers know, my buy list is mostly theoretical at this point since I don't buy much perfume and I don't need any (Ta'if has been on my list since 2005, and hasn't cost me a penny yet). You never know though, I might eventually spring for a travel trio so I can get Tauer's Incense extrême and Incense rosé too. A bonus: Phi's lasting power is excellent. 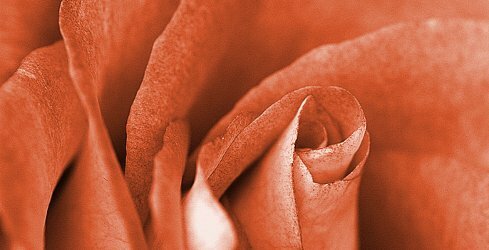 The quick poll: name rose fragrances that are dusky and warm, or that rose-haters might love, or that are unisex/masculine. Tauer Perfumes Phi — Une Rose de Kandahar is available in 15 ml (sold in sets of three; mix 'n match, the price will depend on what you choose) and 50 ml ($142) Eau de Parfum. For buying information, see the listing for Tauer Perfumes under Perfume Houses. I am so pleased you mentioned Ta’if. This has been one of my favourites for some years, but I would say that it has definitely changed – not so much to a different smell, but that it is now considerably weaker (and yes, I could compare different vintages side by side, so it wasn’t my nose). I feel quite gutted by this loss, and wonder if there has been an IFRA influence. I would also love to know if any other Ta’if lovers have bought any edp recently, and whether they notice the difference! Ah dear … perfume is so ephemeral and it can break one’s heart in more ways than one. I feel a lemming for the Phi coming on …. Oh, so very sorry to hear that! I can’t remember if she’s making Ta’if in extrait, but if I ever get around to buying it (!) maybe I’ll try that first. Phi really is not at all the same, but to me they have a similar feel, if that makes any sense. I’m sure you are right – I remember you wrote about Phi and I loved the sound of it then too. Jillie, that’s the trouble with buy lists and indecision, isn’t it? If you wait very long, you wonder if the perfume has changed, which means you would need to try a new sample – it’s just too complicated, and, as you note, a setup for disappointment. I often wish I’d bought Ta’if back in 2008. I wish you had too! You are so right – in this age of constant movement, nothing stays the same for very long. Everything changes. But I wish it could slow down just a bit! You know, I’m going to add, just in case you think it might be relevant, that all of my OJ collection has changed & deepened over the years. Some of them I like better than I did when they launched, but others are richer but also less sparkling and I don’t like them better…so that might possibly be a factor? But if you have a better memory than I do, you might be more sure that Ta’if has changed…not meaning at all to imply that you’re wrong! Oh yes, Robin, I know what you mean about the maturing aspect, and let’s hope that my bottle might just get a bit more mellow and concentrated. Marjorie Rose made an interesting comment the other day about an OJ that lingered on her seat belt and that was something I loved with Ta’if; sadly it is now so weak you wouldn’t be able to smell it on the fabric even a few hours later. Yes, I think OJ Woman would linger longer than Ta’if, and I do love both of them! (Maybe I should do a side-by-side seatbelt test?!) I didn’t realize that Ta’if used to be stronger, as that is one of my “complaints” about the scent–not quite up to my usual preference for presence. I’ve only worn my sample once and didn’t fall in love at first sniff either, so you’ve convinced me to try this again soon. I think Rose d’Homme fits your criteria for dusky and warm and unisex/masculine. I love it. I wish I could remember what month these samples got distributed, but maybe it had nothing to do with the weather. Yes on Rose d’Homme! That’s by Rosine, for anyone who is interested. Ha, yup, just signing in to say, well, it sounds like I should give this another shot! The ‘rose’ scents that I genuinely enjoy are Lyric, Andy’s very own Incense rosé, and Marni (if it counts), probably because they are slightly more abstract and none of them actually smell overtly rose-like to me. I AM fond of chypres so Phi sounds like it might work for me. No idea where I’d get a sample, though; there’s no shipping to UK and it’s no longer on Les Senteurs website. Nope, UK is one of the places that he doesn’t ship to (and hasn’t in a while) due to previous issues/postal restrictions. That’s partly why I don’t yet own a bottle of Incense Rosé since I resent paying the Les Senteurs premium. Figures…sorry, I obviously am out of the loop on Tauer’s shipping. Abyss – the exclusive stockist for Tauer in Britain is “Scent and Sensibility”. They have a good web-site, though the Phi is presently out of stock. Thanks! I always forget about them but I’ll keep an eye out for the samples. Abyss, I love Lyric, too, and used to think I disliked rose scents before I found this whole category of hefty roses! In any case, have you tried Une Rose Chypree? If you’re out looking for Tauers, you might as well try it, too. Definitely not boring! Lyric doesn’t smell like roses, though Not in the same way that Une Rose or Liaisons Dangereuses or even Epic do. All beautiful but I’m usually ready to smell something else after about an hour. I have a sample of Une Rose Chypree and I wear it once or twice a year, when it’s really cold. I like it well enough but I’m not blown away by it. Une Rose Vermeille is a no go. I liked PHI Une Rose de Kandahar so much that I had to ask my friend in Germany to help me get a 50ml bottle, because Andy doesn’t ship to Poland. Congrats on your bottle in any case, and nice list! He’s having more and more trouble with sending his perfumes from Zurich. When I asked him about shipping to Poland he said he *could* do it but with FedEx “dangerous content” package which would cost even more than the bottle itself! Thank God I have a friend in Germany who agreed that the package from Andy would ship to her address and then she forwarded it to me. Ah. Well, it’s the same everywhere…nobody wants to transport perfume. Speaking of which, …. could anyone clarify what the restrictions are here in the U.S. regarding mailing/returning perfumes? I’m thinking of those of us who want to participate in the freebie meet or swaps. Any advice? You are not allowed to mail perfume through the US mail except via ground. Most people do though, when swapping. But it’s illegal. Thanks Lucasai and Robin. I was surprised when I went to the post office to return some items to LUSH and was asked specifically if there was any perfume in the box. Lucasz, if you would take a moment could you clarify what the shipping restrictions are for you? I’m not clear on how Tauer would include a charge for “dangerous content” but a package from Germany wouldn’t. Tauer is in Germany, in case that wasn’t clear. Confused: isn’t he in Zurich? I had heard – or misheard – that his perfumes are not easily available in Germany? Merlin, I am so sorry…I am spreading misinformation all over the comments today. need a nap. Yes, Zurich. Lol, I had to double check on google that Zurich WAS in Switzerland! Holly, Poland has no restrictions regarding sending perfume in the mail. Everyone does it – from ebay, from swaps, online perfume shops. It’s allowed here to send perfumes via mail here. I can send perfume abroad too but then it’s up to the controls and regulations in the other country if the package reaches its destination or not. I sent a couple of packages to the USA too and they all arrived unharmed. I’m a rose-hater, so great poll! Look forward to hearing the suggestions, and will definitely give Phi a try. Really, the rose in Phi is not that strong. Ditto with Ta’if. And nobody has yet mentioned Le Labo Rose ** (can’t remember the number) but that’s another unisex, not-too-rosy rose. It’s 31 Robin, Le Labo Rose 31 It’s quite spicy too. Love spice! I’ll definitely give this a try. I don’t typically like rose notes but absolutely love Tom Ford’s Noir de Noir, which is slowly leading me to like other roses! Ah, I need to try that one again! Thanks. I love that one too! So much patchouli. I think it works beautifully, and everyone I know loves how it smells on me. You know, I always forget about Black Rosette! I reviewed it many moons ago, and it’s on my buy list too. Great scent. Oh that sounds great. I was just underwhelmed by CB I Hate Perfumes Rose Tea, and this might be exactly what I hoped that would smell like. I love rose fragrances in general and love many – from simple to complex, light to dark. Haven’t tried this one yet and am not sure I will – I am iffy on oriental fragrances, and this one seems weighted toward some basenotes I don’t always get on with. I may crack at some point, though. Tauer’s own Une Rose Chypre is wonderful, though I admit that I have two samples, enjoy it every time I dab it on, and still don’t see the need to buy any more. Une Rose Vermeille, though it is sweet and almost technicolor with its fruit, grew on me… but again, I am making do with a small spray sample. I did not like Incense Rose; there’s a throat-grabbing raspy thing in there that I can’t take. Other darkish woody roses I enjoy are Lyric Woman, By Kilian Rose Oud, and Gres Cabaret (really wonderful on a man, I say). I’m not mentioning rose chypres because they seem a different thing entirely, but I love quite a few of those. I did have a decant of Ta’if at one time, but overapplied it (three spritzes) one day, and could not bring myself to wear it again. Neither Une Rose Chypre nor Une Rose Vermeille grew on me, although Angie & Jessica (respectively) liked them. Good list, & agree a man could wear Cabaret — and ha, went to look to see if Angie had reviewed it, nope, Kevin did! I have not, of course, had the time to try them all out on me, but I am already mad about Noir de Noir and Portrait of a Lady. Oh, what fun! Portrait of a Lady is a good call. I have FBs of both Portrait of a Lady and Noir de Noir (my one and only Tom Ford private collection). I absolutely adore both. Have had Noir de Noir for a few years now and still like it as much as the day I bought it. Thanks for posting – you have convinced me to give Phi another try. I had read so many wonderful descriptions that I HAD to smell this perfume so I ordered a sample. When it came, I was so disappointed to find that it smelled like a dirty ashtray on me. The tobacco note was completely overpowering on me. I think I need to dig out my sample and pay more attention this time around. Agree with the comments above that Rose Anonyme and Le Labo Rose 31 are roses that rose-haters might enjoy. We stayed in a hotel in London that provided Rose 31 toiletries and my husband (not much of a rose fan) couldn’t get enough of them! He saved all the bottles he could get from housekeeping and still uses them when we travel. Oh, too bad…I think I probably have a high tolerance for tobacco as a perfume note (and to me, it smells nothing like burned tobacco). Wow! I get almost no tobacco at all. Isn’t it funny how different skins/noses change how a scent is perceived?! I’m also fascinated by the bottle, which has a sort a sort of gasket at the neck to make a tight seal with the cap and comes in an aluminum box. I can imagine future archeologists finding and enjoying these. I also like the Tauer by-line, “Immersive Sculptures,” and appreciate the thank you note he includes. I’m enjoying the perfume, too, but I’m recovering from a cold so please take my impressions with a grain of salt! I get more woody incense than rose and apricot. It seems the Bourbon geranium, tobacco, patchouli and vetiver (together with the underlying iso E super or whatever it is) are creating a sort of camphoraceous sandalwood impression. Excellent for these cold, foggy January days we’ve been having! Class 9 environmentally hazardous substance! That’s impressive. It’s got to be iso e super, which is another link with Ta’if come to think of it. I am glad to hear that you are recovering! This has been a slog of a cold for you! Thanks, Oakland Fresca! I’m feeling so much better – finally! A cold is a particularly debilitating illness for a perfumista. I ordered mine from Andy’s website as well and was shocked how quickly I received it. I ordered it “unsniffed” which is most unusual for me. — However, I won a sample on one of the perfume blogs but they never sent it to me (although I had given them all my info). I never win anything and to think I finally won something-albeit a small sample–irked me so much and my desire to own the PHI increased although I had never tried it. When it arrived in a few days, I was not only shocked on the rapidity of delivery but also delighted that I really love the fragrance. I also took a chance on ordering Phi unsniffed. Since it is a limited edition, I felt was a bit concerned that it would sell out by the time I had ordered samples and tested it. I also felt like even if I wasn’t crazy about it, my purchase was supporting Andy. The speedy delivery was amazing – I was expecting it to take a couple of weeks. I’ve been wanting to try Une Rose de Kandahar but hadn’t gotten around to it yet. I like rose, and I like tobacco a lot too, so I’m hopeful, though Tauers are very hit and miss on me. I also have never gotten around to trying Ta’if, but it sounds like something I would like. My favorite dark rose is ELdO Rossy de Palma. I have the same experience with Tauers – when they work, they’re lovely, and when they don’t, they’re awwwwful. Which to me in a roundabout way is a good sign: they provoke reactions because they’re unusual & interesting. True – I never find them boring. Oh for sure! Even if they don’t always work on me, they’re always interesting. For me the problem is something he uses in the base on some of his fragrances. I guess I might be slightly sensitive to it because it overwhelms everything else. But the ones that don’t have that thing work just fine. Ah, another one that I always forget, thanks for mentioning Rossy! RdP is my favorite rose period, but weirdly I don’t think of it as very dark. Still, beautiful stuff. Still haven’t tried this yet, and I know I should as I usually get along well with Andy’s work. Lately I’ve been wearing the heck out of Un Fille de Berlin, and craving Killian’s Rose Oud like mad, but those might be rosier than what you are asking for in the poll. I’m a previous rose-hater who’s grown into a rose lover it seems! My gateways to loving roses include Paestum Rose, Incense Rose, Un Rose Chypree, Black Aoud, Rose 31, and Rossy de Palma. I think Paestum Rose is a great gateway rose, assuming you like the other notes. I know some people don’t like that one. I also will put in votes for Lyric Woman and Tom Ford’s Noir de Noir. Has anyone yet mentioned Gucci L’Arte di Gucci? Such a great dark rose. I’ve never smelled the Gucci — it’s long gone, right? Yep. It’s one of those fantabulous rose chypres I didn’t mention. I have always loved some Rose in my fragrances. I used to mix my mom’s Paris with my older brother’s Brut! As many have mentioned Amouage Lyric men is a stunning deep, warm Rose, LOVE IT! Also Khiel’s Musk Oil has a beautiful Rose in it. Paris + Brut -> I cannot really imagine that! There is something thrilling about the idea of mixing Paris and Brut – and taking the first step on a perfumed pathway leading to Amouage Lyric men and beyond. Rose non-lover here! 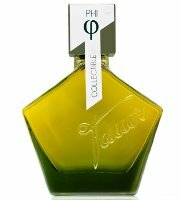 I so wanted a sample of Phi, as I had read that the rose does not dominate, but Tauer Perfumes cannot ship to Greece and First in Fragrance does not stock it…at least I have samples of Ta’if and Rossy de Palma on the way! I’m glad that people on here think that they might please people who don’t enjoy rose. A rose I like a lot is Eau Suave. I have a sample of Rose d’Homme, but I still get that loukhoum vibe. So far my only rose full bottle is L’Ombre dans l’Eau, but that’s hardly a dark rose. Will look into Rose 31. I wanted to join the L’ombre love – and though the perfume is not dark, there is a shadow in the name, lol! Also love L’Ombre – it’s perfect for summer! I think I might like the idea of a rose (and its long allegorical history) more than the actual note – though I do have a number of rose-centric perfumes. I wasn’t able to try Diva EDP on my skin as the day I saw it I already had too many on, but I sprayed my scarf and discovered how beautiful it was later! I think it would be a dark and dusky rose. I like the idea of “what Betty Boop wears”! Before falling down the perfume rabbit hole I thought I hated rose perfumes. How wrong I was as rose is now probably my favourite note (current aspirational number one on wish list is Nahema extrait). Some of my gateway roses have already been mentioned here – notably Paestum Rose and Noir de Noir. In addition, prior to these scents I wore Kors by Michael Kors (cylinder bottle, long discontinued) that was a winey-spicey-rose. Not the most well-done fragrance but it helped me try and discovery other rose scents. Never tried the Kors, that sounds nice. Lots of my favourite roses have already been mentioned (Montale Attar, Ta’if, Rossy de Palma). I also like the niche-ish Comme des Garçons Rose (raspberry and leaves), and for a mass-market, masculine rose, I love Midnight Poison, which was advertised with lots of wafty Cinderella-at-the-ball imagery but is actually a rather butch affair, lots of clean but spiky patchouli piercing the vanilla-amber rose. Wow, entirely forgot about the CdG Rose! Another dusky and warm rose (but my guess is if you don’t like rose, you won’t like this one!) is Sonoma Scent Studio’s Velvet Rose. Velvet Rose smells like an old, velvet-lined keepsake box that’s been storing rose scented letters from another era–in a good way! SSS also has a Rose Musc, but I seem to be anosmic to its aroma and can barely smell anything when I sniff it. I’ve also been enjoying Kurkdjian’s Lumiere Noire pour femme–which is anything but Noire, or even dusky… but if you are looking for a new, bright, honeyed rose–you might like it. SSS also has Nostalgie, which I think qualifies as a darker rose and is very lovely! And SSS Vintage Rose! But I’m the only one that ever mentions it, Velvet Rose must be much more popular. Plus I think she’s renamed or discontinued Vintage Rose. I bought a travel spray before it disappeared. Not the only one! Vintage Rose is one of my all-time favorites. I like the relaunched/renamed version too, but it’s not as dark as the original. Thanks! Reminds me that I need to try the latest version of the 100% Love that Jessica just reviewed. Liaisons Dangereuses is very special, and I either like the others you’ve mentioned or want to try them. …although I get a slight bleach note from Rossy de Palma, so I don’t think of it as all that dark. Oh, and I momentarily forgot about Une Rose Chypre! I like but don’t adore Rossy, but now can’t remember why — I do remember thinking it was a great scent. Will have to try again & see if I get bleach! I don’t get bleach, but I do get a metallic note in the top that makes me think of blood. Maybe the same note interpreted differently. I don’t think I have anything new to add to the rose-love list, as I’ve probably mentioned them above already. . . Ta’if, Lyric, Une Rose Chypree, Nostalgie. . . I remember sampling Rose Oud and nearly liking it. I mean to find the sample and try it again, as it’s been a few years, I think. This poll has added a few more to the to-sniff list for sure! Gosh. Speaking of the to-sniff list, OMG I have too many samples! I just piled them into a bowl to theoretically start working my way through them. It looks so overwhelming! And yet. . . I’m *still* inclined to order a few more. . . clearly, I’m insatiable. It’s nice to have lots to choose from! Rose is by far my favorite note, but I almost have to have it as a soliflore. I can barely detect it if it’s combined with too many other notes….almost to the point of anosmia. And by too many notes, I mean like more than one. For instance, it took me a full year before I could smell the rose in Bvlgari’s Rose Essentielle! I mostly just got the black currant (blackberry?) and patch! I have a similar reaction to many perfumes that are often described as rose perfumes, such as Caron Parfum Sacre, Diptyque L’Ombre dans L’Eau, EL Beautiful and most of those rose chypres. I like them, but I would never have identified them as rose perfumes. I agree about Parfum Sacre. More incense than rose to my nose. And as for the rose chypres… I love chypres and I love rose, but not only can I not smell any rose in them, they are total scrubbers on me. I hunted down a FB of L’ Arte de Gucci in EdP based on Marina’s glowing review and my love of rose and chypres, and finally had to send it off ( to Mals, I think?) with a warning that it may have gone off. I had to double wrap my itty bitty sample of PoAL in a baggie and send it to…lord I don’t even remember. Had to block the entire experience out of my mind! It had NOT gone off! Isn’t that funny? But it does have considerable castoreum in it… and aldehydes up top… and it can smell very dirty. For what it’s worth I got almost NO ROSE from PoaL and didn’t like it at all, so you’re not the only one. Nozknoz, the rose in L’Ombre EDP is much richer and more obvious in the EDP. I have the EDT and couldn’t smell the rose in it until I compared it to another perfume that had a few similar notes but was without rose. I also quite often can’t smell the rose, unless its a soliflore – except I do often like the mix anyway. Sometimes, when its a soliflore – it still doesn’t smell like ‘rose’ to me! Its a rose haters rose, simply cos the rose is undetectable, lol! Merlin, I haven’t tried the EdP yet and have avoided doing so, since I’m happy with the original version – better to avoid unnecessary temptation. Also, I like that L’Ombre is just it’s own unique smell rather than another rose perfume. I sampled Rose 31 but did not care for it. So far have not cared for any Le Labo. The rose hater’s rose it is! I ended up with the EDT because only the EDT came in travel refills! That Bvlgari is *not* a deep rose, despite the name! I’m not a rose lover but I am always willing to try a new one. I had an opportunity to get in on a split of the Tauer Explorer Set and chose PHI as my portion (or I can call it my LARGE sample). It was love at first sniff, stayed on my buy list for a nano-second because I ended up ordering a FB immediately. Of the other roses mentioned, I like Rose Anonyme and Portrait of a Lady. Le Labo Rose 31 turned all dirty socks / sour on me so that was a No Go. Dirty socks! Money saved, though, it’s not cheap. Shiloh by Hors La Monde – is my rec for for dusky, dusty rose. My favorite roses tend to be not rosy roses, but roses with a twist or rose as a part of an interesting mix: Amouage Lyric, TF Noir de Noir, Chanel 18 and Lancome Mille et Une Roses. Shiloh is a great scent…I always forget that one too. Hi Robin: Funny, I just was wearing Phi yesterday (Tuesday) for the first time from a small decant I have. I also really loved it. I told friends that I’ll have to consider it next to other rose fragrances I’ve sampled in order to decide if I want a bottle of this one. I agree with your assessment: not particularly feminine, warm, but doesn’t feel in the least heavy, fruity but not syrupy. I also liked the hint of tobacco I got at one point. I really look forward to wearing Phi multiple times and exploring its facets. And thanks for reminding me that those travel sets are options! A much better value, especially for us perfumistas who have far more fragrance than we can ever possibly use. Nice review, and very timely. Oh, and I should mention that I think Lyric Man is one of the best dark, unisex/masculine roses out there. Also Montale Black Aoud, but that’s in a whole other category, even though the rose accord in it is a favorite of mine. And I like that the travel sets are priced by what you buy. Seems reasonable. Wish Frederic Malle would do mix ‘n match travel sets on their website! As a certified, vehement, rose hater, I hereby testify that Alahine is a warm and dusky rose that can win the heart of the most stubborn rose hater! I love it. (You have to like orientals though). I also used to like tauer’s own Une rose chyprèe; other roses I might wear occasionally (I always regret wearing a rose perfume, though, and never manage to enjoy them from top to bottom): lady vengeance and citizen queen from JHAG, Rose noire by byredo, BK’s rose oud and liasons dangereuses and Lumiere noire by FK. I even bought a bottle of the latter in one of those stupid perfumista’s whims and have never worn it since. Will add for anyone who wants to know that the Alahine is by Teo Cabanel. Love Alahine, and I agree the rose is a big part of its character. I would call it “a floral amber,” myself, as the jasmine is also noticeable, but it is really lovely. I must thank your blog for discovering Alahine: I wouldn’t have seeked it out without your glowing reviews. I agree there are many ornaments to this “rose” and this is probably why such a major rose hater like me can relax and just love it. Comme une Evidence Homme is a rose perfume for men. it is quite lovely, actually. For anyone who wants to know, that’s an Yves Rocher scent, and very reasonably priced. Thanks Hildegerd! Is it rosy? I’ve never even tried it, since I gave up on Yves Rocher men’s scents after they discontinued Aztek and Nature Millennaire Homme and started doing boring things like Hoggar and Transat. I guess a trip to YR is on the schedule for tomorrow after work, then. Thank you for this review! I am also a non-roselover and try to stay away from rose scents, as they all turn unpleasantly sour on my skin. The only exception is Taïf, that I love dearly. (My bottle is a couple of years old, so still the stronger version, I suppose). When I visited the Ormonde Jayne flagship store in London recently and experienced their Perfume portrait test, I also had the opportunity to smell Taïf in Perfume concentration. It smelled very much like the EdP I own, so maybe the EdP now is weaker to make way for a stronger Perfume version? Oh good, thanks for the info on the Ta’if extrait! Hello and sorry I am late to this but as an ex-rose hater I also wanted to add Histoires de Parfums Mata Hari 1876 to the list, I am adoring it at the moment! Thanks! I cannot remember if I’ve tried that or not. I was thinking of Mata Hari as well. It’s a gorgeous fragrance, and if my memory serves me right it was described as the perfect dandy rose in The Guide. I don’t think I have anything new to add. I second Paestum Rose, Rossy de Palma, Une Rose Poivrée, Une Rose Chyprée, Le Maroc pour Elle and would add: La Rose nacrée du Désert by Guerlain. Don’t know any other roses that fit the description due to the fact if “rose” is in the name of the perfume or on ingredient list as a dominant note, I hot foot it as far away as possible! I’m a rose lover, and I love all kinds! One rose that just came to mind which hasn’t been mentioned and may appeal to those wanting a more masculine edge is Czech & Speake Dark Rose. It was quite the thing a while back, probably because it went out of production, lol! Nothing as fascinating as something you can’t get, right? Anyway, it’s got a healthy dose of saffron and it is dark – one frag that lives up to its name. I am not a rose lover. I do not object to its presence in a blend if that presence is not obvious but a rose soliflore would be a challenge for me. However……. (you knew that was coming, right?) I am addicted to Maria Candida Gentile’s Sideris which I believe contains rose and even smells like rose to me – all dusty, woody and incensey but soft. Utterly gorgeous. Oh yes, I forgot, it has a lovely saffron note and I do love saffron. I believe MCG notes it as unisex and I see no reason to disagree. You are reminding me that there is a MCG rose perfume Cinabre that is interesting. I need to spend more time with my sample. I feel like it is roughly similar to Phi, relatively speaking. Thank you for your comment – it made me re-read your other comments above and I trust anyone who appreciates Liaisons Dangereuses! (But that one’s all about the green and the fruit, with incidental rose ) I’m going to look out for Phi. And on my next MCG spend (Exultat for Spring) see if I can snag a sample of Cinabre.